Forest ecosystems -- those dominated by trees -- house an assortment of life, such as mammals, birds, insects, flowers, moss and microorganisms; they also include the non-living elements of soil, air and water. Forest ecosystems can be classified according to the type of biome in which they exist. “Biome” is a broad term describing similar vegetation types covering large swaths of land. The overall basis for categorizing forest ecosystems into biomes depends on whether the forest lies in a hot, temperate or cold region. Bear in mind that within any forest ecosystem, particular features vary considerably. For example, a rainforest ecosystem in Brazil will have many different native plant and animal species than a rainforest ecosystem in Malaysia. Tropical rainforests can be found in certain equatorial regions in South and Central America, sub-Saharan Africa, Southeast Asia, and some islands in the Caribbean Sea and South Pacific Ocean. Tropical rainforests possess a higher diversity of species than any other kind of ecosystem on the planet. Abundant precipitation and year-round warmth produces thick, flourishing vegetation, with trees growing tall in the competition for sunlight. Examples of plant life include mosses, ferns, vines, orchids, bromeliads and palms. Many rainforest animals, including snakes, bats and monkeys, live in the trees. Decomposition in tropical rainforest ecosystems occurs rapidly. Rainforests aren’t the only type of forest ecosystem present in tropical regions. Other types of tropical forests include cloud forests, mangroves, and deciduous forests; the latter may also be referred to as dry forests or monsoon forests. Depending on the local climate, a tropical forest may consist of a blend of these types. For example, some tropical forest ecosystems contain a combination of deciduous trees, which lose their leaves once a year, and evergreen trees, which remain green year-round. This is often due to seasonal changes in precipitation patterns, such as seen in monsoonal climates in which months of bone-dry conditions follow months of heavy rainfall. In temperate areas of the world, forest ecosystems are common, and may consist of deciduous trees, evergreen trees, or a combination. Large swaths of temperate forests can be found in northeast Asia, the eastern half of North America, Western Europe and Central Europe. Temperatures can fluctuate widely in these ecosystems, which have defined seasons. Tree species include but are not limited to oak, maple, willow, hickory and hemlock; animal species run the gamut from the squirrel to the wolf. One particular subset of temperate forests, commonly found in the U.S. Pacific Northwest, western British Columbia and southern Alaska, is the temperate rainforest. Also occurring in small pockets of Chile and Australia, temperate rainforests stand out from other temperate forests due to their exceptionally high levels of precipitation, which can fall as rain or snow, with snow becoming more likely at higher altitudes. The ample moisture allows lush greenery -- ferns, mosses and lichens -- to flourish on the forest floor and tree trunks. Although coniferous trees dominate temperate rainforest ecosystems, some deciduous trees thrive as well. Like tropical rainforests, temperate rainforests are high in biomass, but unlike their tropical counterparts, temperate rainforests have low species diversity. 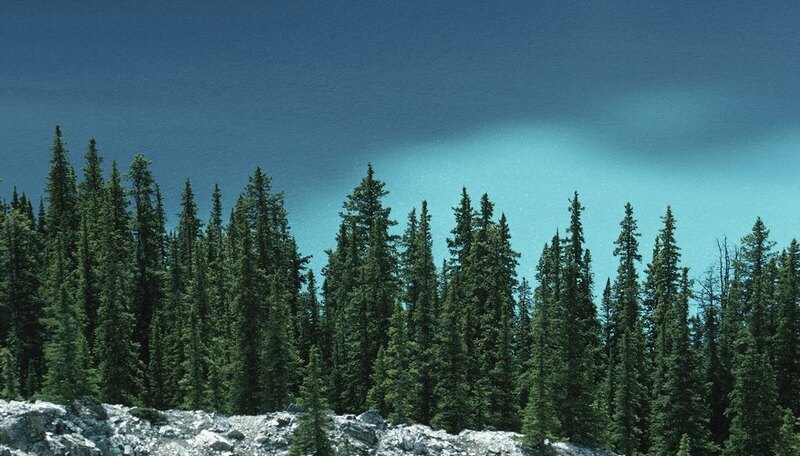 Boreal forests lie between temperate forest zones and the Arctic tundra. Also known as taiga, boreal forest ecosystems consist almost entirely of coniferous or evergreen trees, such as spruce, fir, larch and pine. Animal species may include rabbits, fox, elk, caribou, moose and bear. Insects are prolific in the boreal summer, and many birds, including waterfowl, migrate to boreal forests to feed on them. Most of the world’s boreal forest ecosystems are located in Siberia, with the remainder spread across Scandinavia, Canada and Alaska. Harris, Amy. "Forest Ecosystem Classification." Sciencing, https://sciencing.com/forest-ecosystem-classification-31825.html. 24 April 2017.